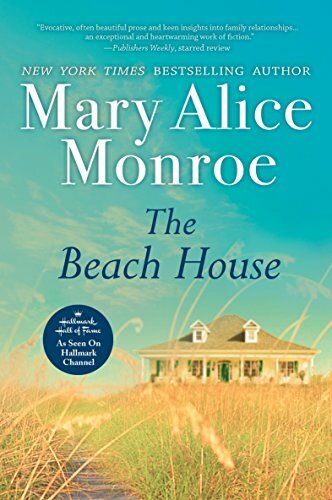 A Hallmark Hall of Fame Movie, as seen on Hallmark Channel!Known for her moving characters and emotional honesty, Mary Alice Monroe brings readers a beautifully rendered story that explores the fragile yet enduring bond between mothers and daughters Caretta Rutledge thought she’d left her Southern roots and troubled family far behind. But an unusual request from her mother—coming just as her own life is spinning out of control—has Cara heading back to the scenic Lowcountry of her childhood summers. Before long, the rhythms of the island open her heart in wonderful ways as she repairs the family beach house, becomes a bona fide “turtle lady” and renews old acquaintances long thought lost. But it is in reconnecting with her mother that she will learn life’s most precious lessons—true love involves sacrifice, family is forever and the mistakes of the past can be forgiven.